When we heard the news that Eagles drummer, songwriter, and singer Don Henley was making a country record, there was a few ways this thing could go. The impact of the Eagles on American music, including country music specifically, has been unquestionable. But just how to frame that impact, positive or negative, depends on who you speak to. Don Henley’s solo output has also been a fairly polarizing proposition over the years, with some of his successful non-Eagles output in the 80’s veering towards yacht rock. 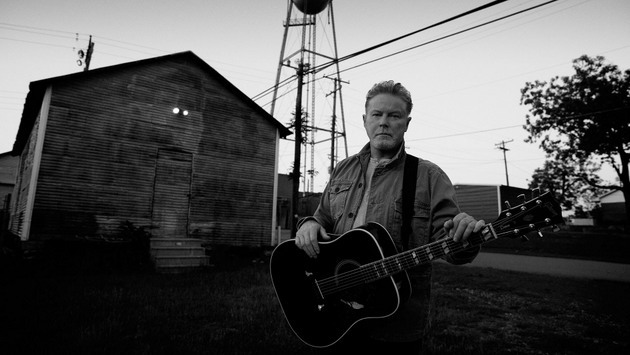 Calling his new solo album Cass County a “country” record could just be the branding mechanism for another run-of-the-mill Don Henley solo release, or he could be joining the parade of aging rock-gone-country washouts looking to cash in on country’s recent popularity (and rock’s lack thereof). Or who knows, the Eagles had some twang back in the day, and he could surprise us with the classic styling of the release. Word that Henley was collaborating with a big handful of famous folks on the album seemed to make the proposition a little more dicey. Merle Haggard said about his contribution that Henley wanted it so perfect, “I was just about ready to tell him to go get fd, but we got it.” Another pre-released song ahead of the proper album out September 25th called “That Old Flame” with Martina McBride was fine, but was a little too ambiguous to offer any further insight on what we might hear from this new record. Then here comes his duet with Dolly Parton on the old Louvin Brothers song “When I Stop Dreaming.” One of the few covers on the record, both Don and Dolly have a personal history with the song. Henley remembers hearing it when he was growing up as an eight-year-old in 1955, when the song was originally a top 10 country hit. It seems like every artist when they decide to “go country” cites their country upbringing, and Cass County in Texas where Don Henley grew up certainly is country. But covering this song was Don Henley’s way of reinforcing that bond to his past, not just paying lip service to potential critics. Dolly also has a history with the song. She used to sing it with Porter Wagoner as part of his repertoire. The Louvin Brothers are never given their due for influencing the prevalence of harmony in American music, in country and rock, and “When I Stop Dreaming” is an excellent example of the Louvin’s lasting impact. The Louvin’s wrote the song and released the original version, but Don Henley and Dolly Parton may have just laid down the definitive take of it, at least of the last 50 years. Styled and produced in a strikingly traditional manner, the waltz beat and solemn story are embellished with caring and personal performances from Henley and Parton. The range of the now 69-year-old Dolly is tested on the track—she had to “rare back and get it” as she says. But she got it. And just like the Louvin’s, Don and Dolly’s phrasing is dead on synchronous. I don’t expect Don Henley’s entire country record to sound this classic, but his take on the old Louvin Brothers standard with Dolly helping out was a welcomed treat that tells you this album isn’t going to be Don reaching for commercial relevance. It’s going to be Don making the country record he wants to make. At least to me this takes a lot of inspiration from the George Jones/Tammy Wynette version, which is fine because that is one of the most underrated Country recordings ever. And Dolly’s voice is something out of this world. I’d love to see her perform on one of these awards shows and blow everyone out of the water. Obviously this is going to be a heartfelt and honest country album, and I don’t care what the artist has been in the past, if they are being true to themselves then it will be apparent on record. I’m actually kind of looking forward to this album. Don picked some really nice tunes. Don can sing anything, as he’s proven time and time again . But whatever he sang always had a country edge .The mans’ a Singer with a capital S . Here’s a guy that could just as easily sing a bunch of Bro-ish stuff and probably get away with it . But he’s a lyric guy and he’s chosen something as country as it comes with a duet partner who’s as county as they come . BIG points from me on those decisions . Two guns up indeed Trigger . My vote for the ” definitive ” version of this one is the Glen Campbell /Leslie Satcher duet on the Louvins’ Tribute record done about ten years ago . It’s one of my go-to favourites for superb vocal performances across the board from the likes of Merle , Joe Nichols, Ronnie Dunn , Rebecca Lynn Howard ,. Dolly and many many others to the inspiring musicianship and respectful productions .Glen slays on When I Stop Dreaming . “When I Stop Dreaming” is probably the Louvin Brothers’ most frequently covered classic. I read somewhere that Gram Parsons introduced Emmylou Harris to the Louvins, and that she couldn’t believe that a man could sing in Ira’s register. In 1977, Emmylou released her own version of the song, with Dolly Parton providing harmony. I think the Emmylou/Dolly version will appear on the deluxe reissue of the Trio recordings coming later this year. My god YES I don’t want to hear ANOTHER cover of this song. How about “Must you Throw Dirt in my Face” for a change??? How about “Yodel Sweet Molly” or “She didn’t even know I was gone?? ?” I’ve heard “When I Stop Dreaming” enough, it’s a great song but I don’t want to see it go the way of “Tennessee Waltz” where EVERYBODY sang it. I agree wholeheartedly. It’s like everyone gravitates to “Yesterday,” as if the Beatles never had another ballad. When the Whitstein Brothers were recording they’d go after the obscure Louvins songs (they did “Pitfall” on their Grammy-nominated “Old Time Duets” album). What makes things worse is that not only does everybody do “When I Stop Dreaming” as if the Louvins never had another song, NOBODY records it with the same tempo that Ira and Charlie did it (oh, and they always leave the middle verse out! This song has THREE verses, so how about doing them all!?!??). They all slow it down to a dirge. Listening to this, it honestly sounds like he learned it from Emmylou’s version instead of the Louvins’. Dusty: doing the Lord’s work by linking to the song he was referencing. Well done! I am not altogether sure about Don Henley’s voice here ”” I think he sounds better when he’s singing higher notes ”” but other than that this song is damn good. Really makes me wonder what the rest of the album’s gonna sound like. I hear you pistolero …and I think you make a good point . Henley isn’t as taxed vocally in this one as Dolly is .I think it was a necessary key compromise because of their respective registers . Yeah, when you’re dealing with a duet, esp. male/female, it’s going to be hard to find the ideal key for both singers. Better to get Dolly dialed in probably. The Eagles were pretty much always country-rock (“New Kid In Town” off of Hotel California comes to mind), so I figured Don Henley’s output would be well done, even if he is just following a trend. This track not only reinforces that thought, but also guarantees that I’m gonna have to come up with ten bucks when the album comes out. Their stuff before Bernie Leadon quit in 1975 is as good as Country-Rock can get. The Girl From Yesterday off Hell Freezes Over is pretty good stuff, too. Definitely the best Eagles song that I have heard. Looking forward to the rest of this album. Great song. Dolly has actually done some great work lately. I actually really liked the duet she had with Kenny Rogers. When it started, I wanted to hate, but by the end, I thought this is pretty good. I don’t know how many of you guys watched the Nashville chapter of Sonic Highways, but on it Dolly said she would never make it in today’s country music. Kind of makes me sad. That’s because Dolly is a COUNTRY singer . No it’s because she’s a woman. Honestly, it’s amazing that Dolly Parton made it at all. Then again, I think the best and most influential singers in any genre are the ones that broke the mold. In country, the list would include Jimmie Rodgers, the Hanks, Loretta, Dolly, Willie, and a lot of other people that Luke Bryan wouldn’t let wax his truck. Also, yeah, I don’t know if it comes from working Porter’s show for so long or growing up in a family of 4346457 kids, but Dolly definitely knows how to sing a duet. Both duets on her last album (the first with Kenny Rogers, the second with Willie Nelson) are top notch. It’s intriguing to me that these days you can usually catch some Eagles on a given classic country station. I wouldn’t necessarily debate that decision, at least not for their earlier country rock material, but it’s still a development of note. I don’t know how long it’s been happening, but it shows just how much genres have been sliding in the interim. Good to hear that Don’s upcoming record is looking to be utilizing a somewhat classic country approach. Trigger, I hate to bombard you with these generalized questions all the time, but what influences have the Eagles spurred through with country and rock? I’m just looking for concise points; no need to draw it out or anything. I’m not big on the Eagles myself, but I know some older folks that just consider them country in and of themselves, in addition to certain members saying that one of the biggest potential honors for them as a band would be to play the Opry. Just trying to get a sense of where they fit into the overall musical lexicon from the horse’s mouth. Anyone else that might be well-versed with the band can feel free to chip in as well. I COULD just look it up myself, but I find that it’s harder to trace through various articles than it is from those who were around as it was happening. The Eagles Greatest Hits album is one of the best selling albums of all time. I can remember when it surpassed Michael Jackson’s “Thriller.” This was right about the time of the whole “Young Country” movement an the Class of ’89, and I think the Eagles helped covert a lot of rock fans to country during that era, leading to the success of Garth Brooks and others. Thank you. Like I said, I only ask here instead of seeking out answers for myself because your writing is what stirs up my lack of perspective, so I like to hear the backstory from the same outlet. But again, it’s mostly due to my ignorance of (and lack of affection for) the Eagles that left me with so little to go on. If we were talking about the significance of Led Zeppelin or AC/DC on country audiences (even though neither is even remotely country) I’d be on a more appropriate playing field. Well, a lack of fondness for the Eagles outside of their live rendition of “Seven Bridges Road.” Those harmonies absolutely smoke. The early Eagles band was as much a country band as it was a rock band, I think you could even make a case that the Eagles and other country rock groups were a development of the Bakersfield scene. Musicians gathered in and around the LA scene and since so many of them were from Texas and Oklahoma, etc. it was only natural that country music roots were influenced in their music. There’s a documentary “Hotel California – LA from the Byrds to the Eagles” that goes into a lot of details not only about the Eagles, but Graham Parsons, Joni Mitchell, the Byrds, James Taylor, etc. Talks quite a bit about how the artists collaborated and shared multiple genres as inspiration including classic country music. You can watch this on youtube if you’re interested. I really don’t know how to classify the Eagles. They were definitely more country than most rock of the time. But also much more rock than the country. They occupied a strange, unique space. You would be hard pressed to find anyone that doesn’t like at least one Eagles song. My go to for anyone that wants a good taste of what they were about is the Eagles Live album. I wore out more than one cassette tape of that one, then finally got it on CD. My favorite track from them is “Wasted Time”, both the studio version and the version on the live record. Really, really looking forward to this release. Don Henley can flat out sing. I also just listened to “That Old Flame” (the Martina McBride duet) and “Take a Picture of This” — the former sounds very much like it could’ve been one of Martina’s mid-’90s hits (“Wild Angels,” “Safe in the Arms of Love,” etc. ), while the latter reminds me a bit of Rodney Crowell’s late-’80s work. I get the sense Don has a lot of respect and affection for country as a whole. Don Henley has always been one of my favorite singers, both because he can emote better than the vast majority of other pop and rock vocalists and because he straddles my two favorite genres: country and 80s-style soft rock. I had always noticed that even his rock tracks contain strong hints of twang, especially evident in songs like “The End of the Innocence” and his duet with Patty Smythe “Sometimes Love Just Ain’t Enough”. I’m very glad that his voice is still going strong and that he is using it on such a gorgeous song. You know, I only listened to a sample of “Love is Your Name,” so I’m not really equipped to pass any sort of judgement or critique, but I WAS surprised to hear him actually singing instead of screaming like he does with most of his Aerosmith material. Granted, he might do that at some point in the song I didn’t listen to, but the scream is the main part of what turned me off to the idea of him doing any sort of “country” project. It just wouldn’t fit in the template, even the bastardized one we have on the radio now (or at least not as of this writing). We already have a Brantley Gilbert, so he couldn’t very well eek it out as some low raspy baritone, either, at least not if he wanted to make something of a mark. Despite his reputation, he actually SINGS and sings WELL on the studio version of “Dream On” from Aerosmith’s 1973 debut album. I often wondered why he didn’t use that voice more often, and it seemed to be back on this latest single. Perhaps not desirable, but not awful, either. I guess I should listen to the rest of the song, but I’m putting that off for as long as I can. Even if I don’t expect it to be the worst thing I’ve ever heard, something about STEVEN TYLER of all rockers gone country really bothers me. Might be from my fandom of Aerosmith, might not. I’ll no doubt hear it eventually, whether it be my own will or not. Damn I really had braced for the worse when I heard about this but man this is very well done. The Eagles really had their roots in country and country rock so its not very far from the fold for Don to be able to do this. Hopefully we will get 2 things out of this…an entire country album and the end of the trend of older rock artists putting out horrid so-called country music. Both Henley and Dolly are at their best when they focus on making music they honestly connect to as opposed to making music that needs to compete in commercial music world. I would much rather hear Henley sing it by himself. To me, Dolly’s engaging in vocal gymnastics similar to what Whitney did to “I Will Always Love You” that this song DOES NOT NEED. Re-hash the hash. Two great singers, two great songwriters, and you can’t come up with an original tune. Now, if we can just get Vince Gill and Lita Ford to sing a Rolling Stones song, then we would have it all. I think this album is going to have plenty of original tunes. This was Don Henley wanting to do a cover that meant something very personal to him, and there’s a proud history in country music of covering other artist’s songs. If you’re gonna be a “cover” king, you better bring it. Arrrghhhh. No. No. Nooooo!!! It’s a fine arrangement and singing and all of that but why has it become a thing to leave out what is, in my opinion, one of the greatest verses in country music history? This is unpardonable. It would be like covering Folsom without the “just to watch him die” line. When someone writes “in the shadows of undying pain” sing it!